Here’s the URL for an interview that I recently did !! It was posted online yesterday !!! Enjoy my friends !!! Not many blues artists can call themselves “the Doctor of the Blues” without a whole stretcher-full of the idiom’s winking big talk. But Marshall Lawrence can, and with only the slightest bit of irony. 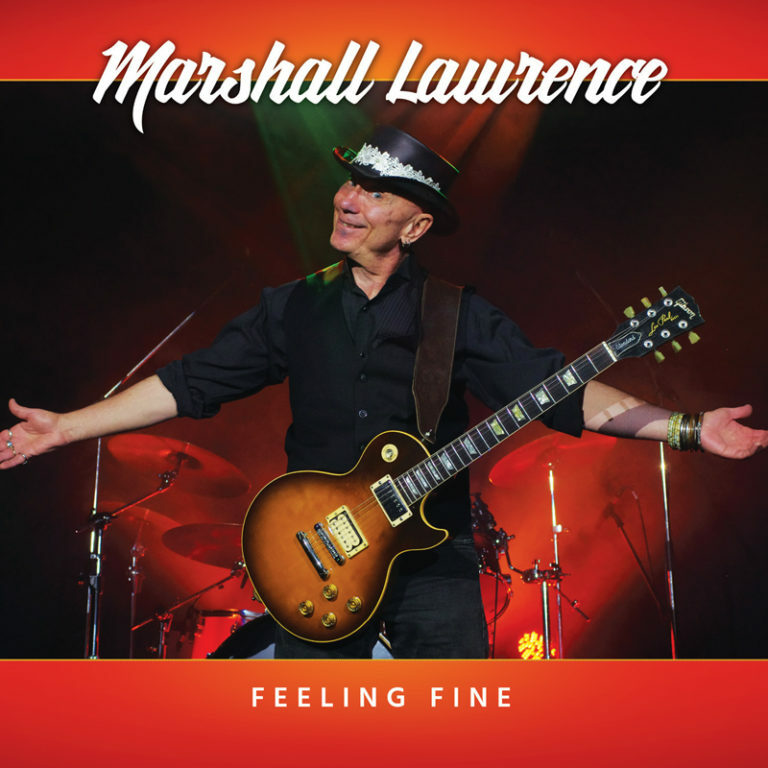 The award-nominated Canadian bluesman actually holds a doctorate in psychology, and he knows how to use it—just as he knows how to use his slashing guitar, stinging, lightning-fast slide, and pleading, mournful moan: Marshall’s prescription for a maximum blues remedy. As festival, theater, and club audiences have been finding out, the best place to get a dose of Marshall’s medicine is right in front of the stage. Thanks to his jaw-dropping technique, moving delivery, and engaging persona, crowds of all walks and ages have been blown away. Of course while nothing can take the place of one of Marshall’s amazing live shows, his excellent studio albums are riveting calling cards, each one a shot of rough-edged, high-energy, Delta-style sounds with an acid twist sure to delight long-time traditionalists as well as newer, perhaps less-reverent converts. A deep, soul-baring set of his self-described “acid blues”—a reference to the music’s alchemical mix of blues and Marshall’s background of playing everything from rock to soul, funk, bluegrass, and even punk—Blues Intervention is stacked high with one searing nugget after another: the dark, tell-it-like-it-is social commentary “Lay Down My Sorrow ”; the truckin’ rip through Tommy Johnson’s “Travelin’ Blues ”; the sage, slide-lashed “You’re Gonna Find the Blues ”; and 10 other down-home tracks fueled only by Marshall’s voice and guitar, Sherman Doucette’s harmonica, and bassist Russell Jackson’s acoustic upright. “Marshall plays the best acoustic blues in the Great White North,” raves Jackson, who’s toured and recorded with such legends as B.B. King, Charlie Musselwhite, Katie Webster, Kenny Neal, and Matt “Guitar” Murphy. How do you describe your music to people, Marshall? I’ve labeled my style of music “acid blues & roots” to describe the combination of all the various styles of music that I’ve played and now infuse into the blues and also for my fiery and adrenaline driven approach to playing the blues & roots. I did the rock thing, I did the punk thing, I did the funk thing and, for me it was just a progression to come back home to the blues. I use all of these musical influences in my approach to playing Blues & Roots music, whether I’m playing acoustic or electric. So for me, Acid Blues & Roots is a mixture of blues, soul, rock, punk, and funk and above all else, self-expression. Ultimately, it is important to me to respect the tradition but also make each song my own. Originality is very important to me!! I first heard Jimi Hendrix when I was ten years old on the steps leading up to my family’s attic apartment. Something in his approach to guitar moved and inspired me. I couldn’t believe it, here was a person who could express his innermost feelings through an inanimate object and convey the essence of what I felt it was all about. This just blew me away and I knew I had found my direction. There was no turning back for me. I used to play in electric blues bands, rock bands, funk bands, punk bands and bluegrass bands. The thing about playing in a band is the camaraderie among the players. I also enjoy the musical interplay between the players and the various instruments in the band. You really can create a musical landscape with the other instruments in the band and you don’t always know where the music will take you. Musically it can be very exciting. However, I later discovered that playing solo acoustic blues and roots music is more intimate than playing in a band. When you are playing solo, it’s just you, your guitar and the audience. What the audience sees is what they get. You are up on stage naked, so to speak. You don’t have the rhythm section to move the song along or other musicians to add variety melody-wise. It is a very intimate musical experience for both you and for the audience. For me, playing solo is the “real deal”. For me, playing acoustic guitar is more real than playing electric guitar. It is just you and the guitar. There are no amps or pedals. What you see is exactly what you get and hear. When you hold the acoustic or resonator to your body and play, you can feel the guitar and the strings resonate and vibrate. It’s as though the guitar is part of you. All the music is coming from your heart, fingers, body, and emotions. For me it is a total and direct connection to the instrument and the music. I love what I do !!! Being able to connect with so many people so easily through social media is amazing. I love being able to connect with musicians and music lovers so easily. We live in such an exciting time ! I really always only wanted to play music and be a full time musician. I have a Ph.D. in psychology and being a counsellor is similar to being Blues musician and Blues music. The blues is a healing music. It allows you to express what you feel any way you want. Some people say that the blues is a down music, you know it’s sad and depressing, but it’s not. The blues is actually a happy music. You may be singing about some bad patches in your life but through the singing you are working through it and passing on a lesson to whoever is listening. Through the telling you feel good and so does the audience. Everyone can identify with the blues. Blues helps us laugh at our troubles, helps us put them in perspective and helps us move on. It lets us know that we are not the only ones that have experienced bad patches in life. I owe a lot to the blues. I want to continue recording and touring. When all is said and done, I want people to say that my style of blues was original and that I brought something new to blues and roots. I want them to say that I had a unique sound and that my music made people feel good and less alone in this world. That my music made them feel connected to others, myself, and my music.